Based and headquartered in Northern California, our clinic covers a majority of patient needs. Our doctors are available at their personal office, and are also available for house call services and private services. Our treating physicians are specialists in the field of physical medicine procedures and treatments. They are trained and licensed in Chiropractic Medicine with training in Pain Management and with advanced training in sports medicine injuries, treatments and rehabilitation. Dr. Dhesi has been practicing in San Ramon since 1997. He is the founder and clinic director of San Ramon Spine and Sports Rehab and Family Chiropractic Group, as well as the co-founder of Lite Recovery. Dr. Dhesi is one of a handful of doctors in all of California to have the ability to perform fibrous release procedures with manipulation under anesthesia and extracorporeal shockwave procedures for chronic joint and soft tissue injuries. He is trained in various soft tissue treatments and has utilized Class IV Laser technology for years as part of his treatment protocol. His patients range from professional athletes of the NHL, PGA, and USTA to semi-pro golfers, tennis players, baseball, and softball players. He has utilized the same laser therapy and rehabilitation in the private sector in helping injuries recover more completely, reducing pain from surgery, and helping patients restore function faster. Dr. Dhesi holds multiple diplomates, follows and certifications. Dr. Dhesi utilizes all his skills in helping patients achieve their customized optimal response to care. 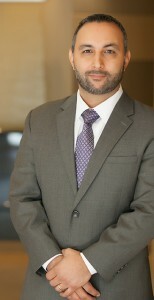 Dr. Bagherian has been practicing in San Francisco since 1997. He is the founder and clinic director of Synapse Health Center where he and his multidisciplinary team evaluate and treat musculoskeletal and soft tissue injuries for professional athletes, auto accident victims, injured workers, and the private sector. 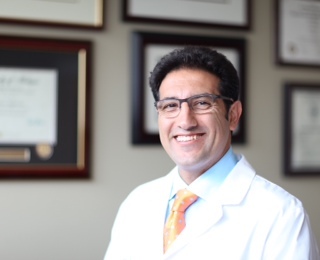 Dr. Bagherian is a certified functional capacity evaluator and holds advanced certification in the diagnosis and clinical management of soft tissue injuries. Dr. Bagherian has utilized Class IV Laser technology to treat numerous professional athletes from the UFC, NHL, NFL, MLS, PGA, and USTA. He has also utilized laser therapy and rehabilitation in treating the private sector, injured workers and auto accident victims. Margaret Kelly is a California State Certified Massage Therapist (#58252), Chiropractic Assistant and Laser Therapy Clinician specializing in chronic pain relief and injury rehabilitation. She is a graduate of the National Holistic Institute’s 900-hour Massage Therapy Program and certified by the American Institute of Medical Laser Applications in Infrared Laser Therapy. With thousands of hours of experience working with top Bay Area chiropractors, Margaret has assisted everyone from top athletes to teenagers to grandmothers to find relief from pain and live a healthier life. 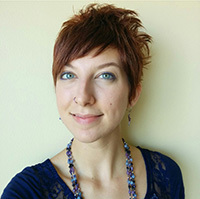 Margaret is available to meet with patients in our San Francisco location.